The overall increase in population has increased the demand for basic needs like education which resulted in the establishment of new educational institutions on both government and private sectors. So this huge number of educational institutions has increased the competition in them to enroll a number of students than their competitors. 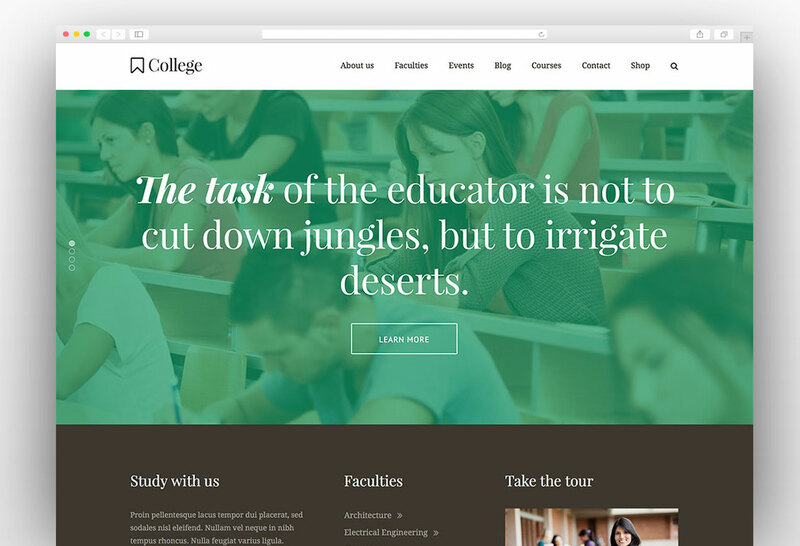 In order to beat the competition your school, college or university has to be the difference and provide more detailed information about your programs. You enroll a number of students you need to give all the course details, details about faculty and above all on time delivery of this information. 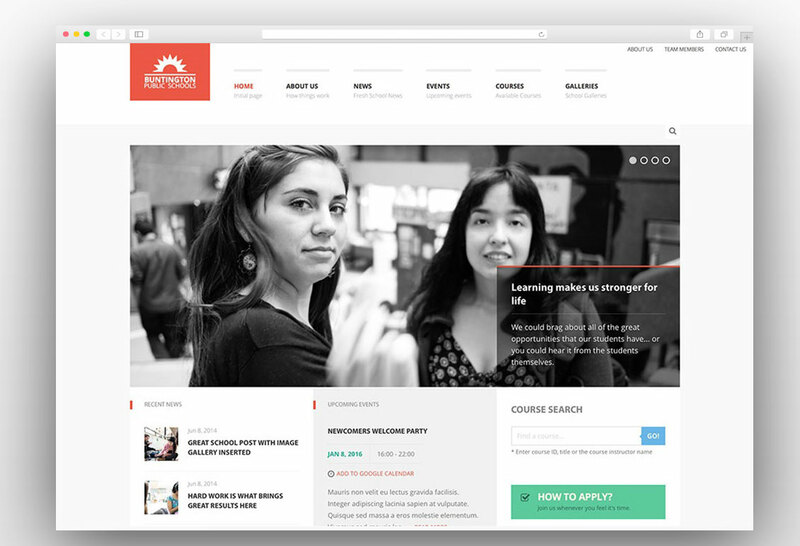 A creative and professional website is the best way to deliver all this information to your potential future students. 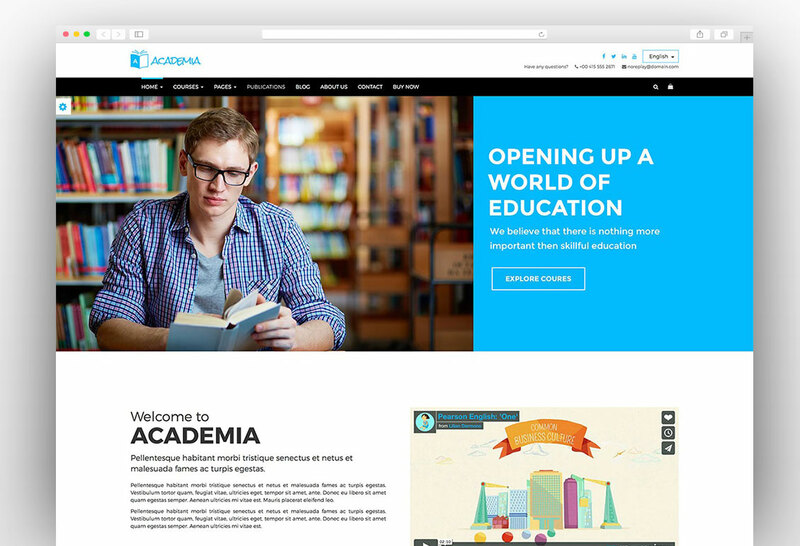 Here is the handpicked list of best educational WordPress themes that will help you create a professional website for your educational institute. Start providing them the best information needed to make an enrollment decision and stay ahead of the competition. 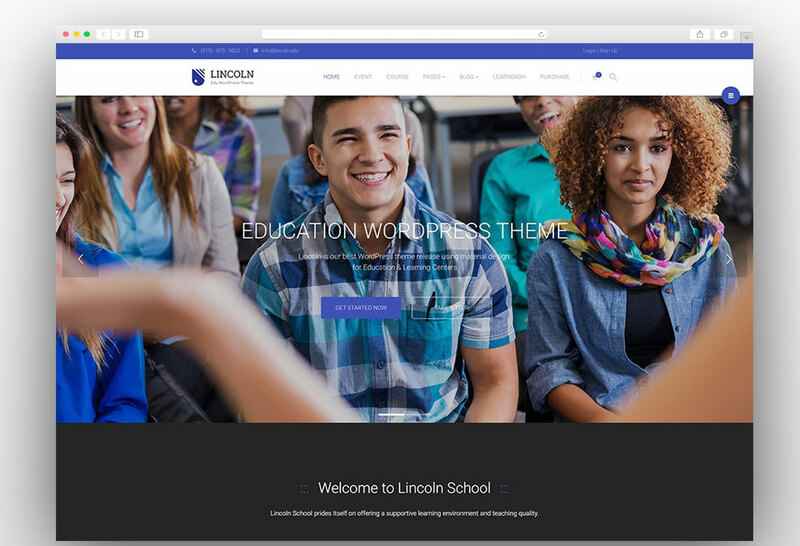 Now let us have a look on the features of all of these stunning education WordPress themes in detail and how they can help you create an amazing website for your school, college or university. 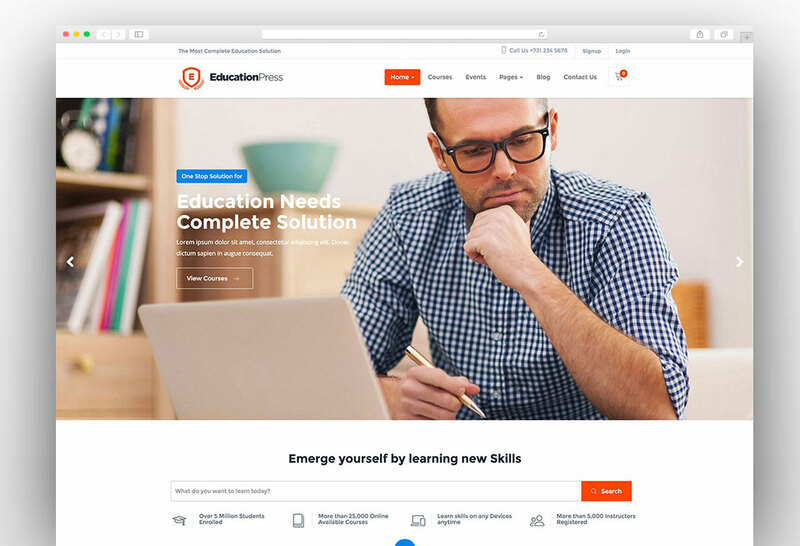 EducationPress is the comprehensive education WordPress theme made specially to meet the needs of educational institutes like schools, colleges, universities, and academies. 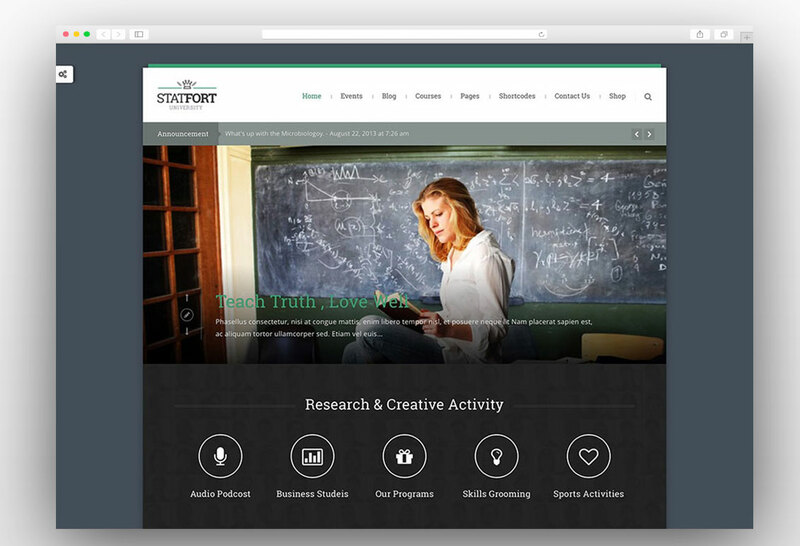 The theme is powered with amazing learning management system (LMS) which allows you to create text courses, video courses, quizzes, share audio, allow users to upload and download files and participate in the discussions. 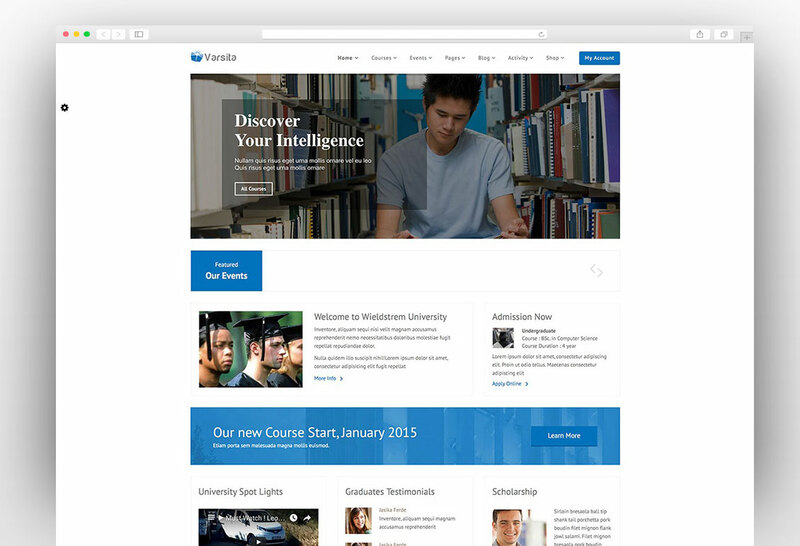 The theme offers huge value with free powerful CoursePress plugin valued at $228. There is an amazing feature of automated and manual instructor assessment. 13+ built in payment options make it very easy for you to collect fees and other charges. 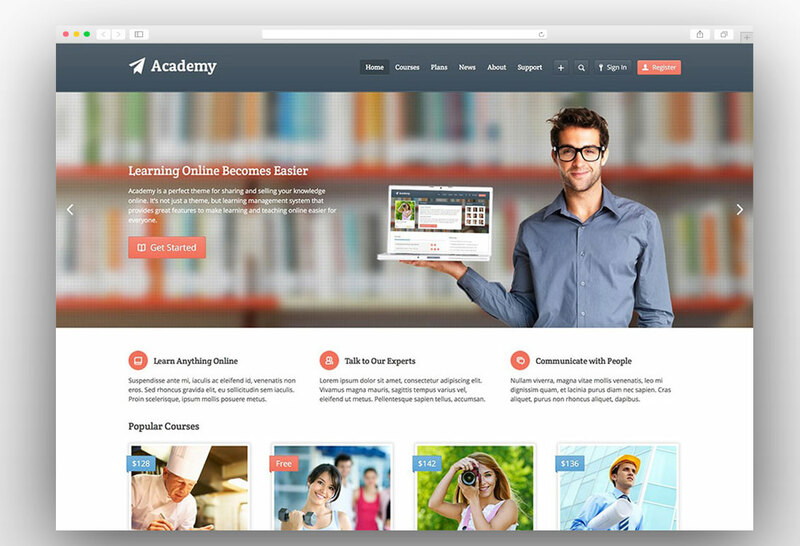 It is fully compatible with WooCommerce and it allows the both free and paid courses options. 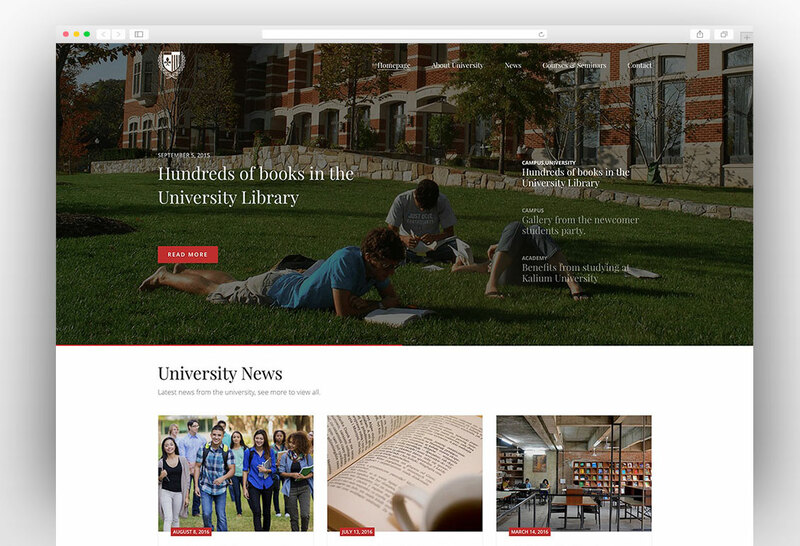 The theme has a very interactive discussion board and it is fully compatible with BBPress and BuddyPress.There are three homepage options listed with amazing features leaving a wide option for you to choose your favorite layout. PSD files have been added to the package for further design customization. 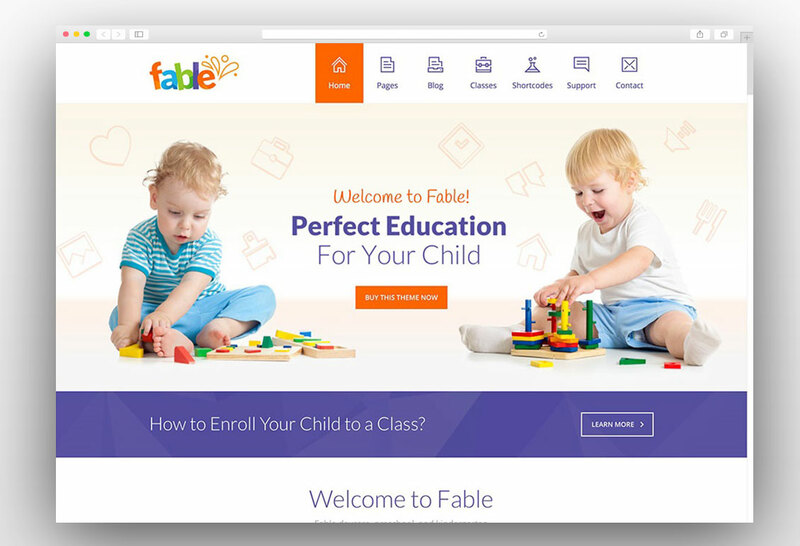 One click demo install function makes it effortless to start your website. 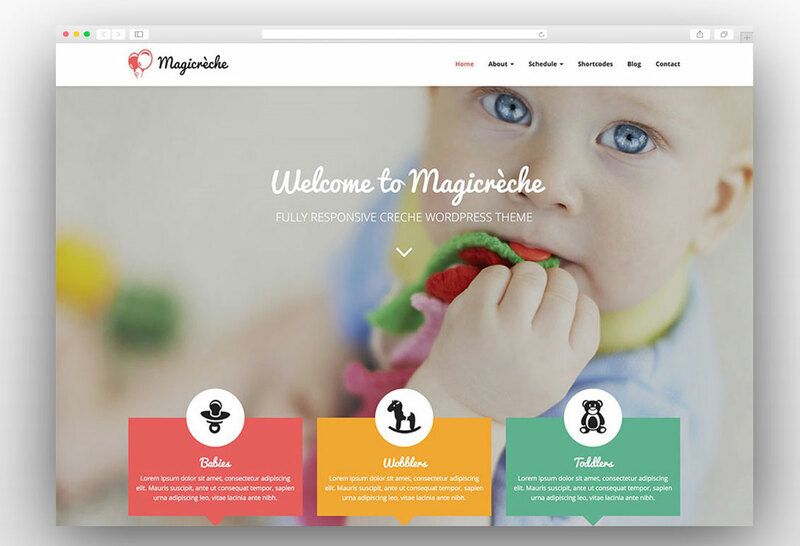 The theme is fully compatible with WPML and it fully supports RTL languages. 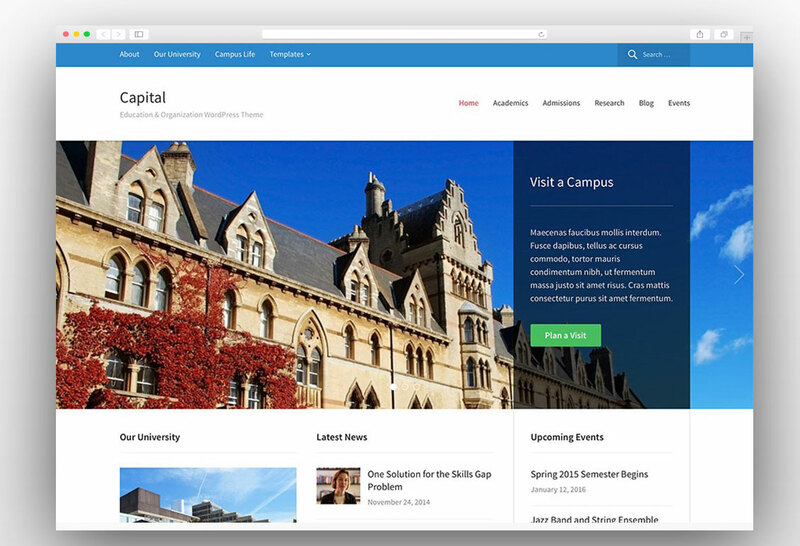 You can easily manage the theme from the feature rich admin panel. 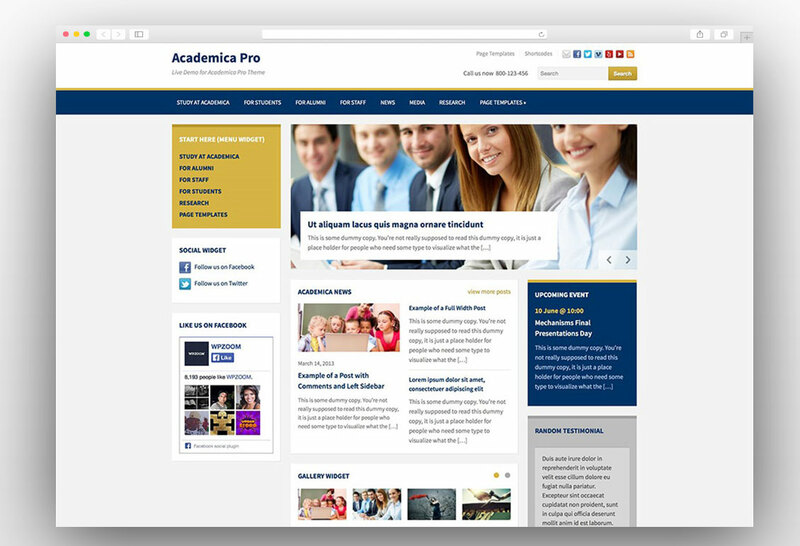 The theme is fully responsive, retina ready and cross browser compatible. 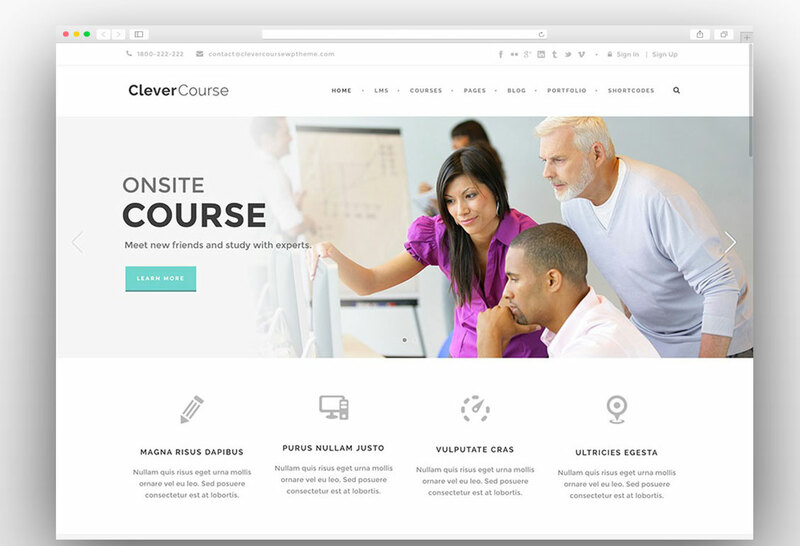 Clever Course is a powerful learning management system (LMS) WordPress theme suitable for schools, colleges, and universities. 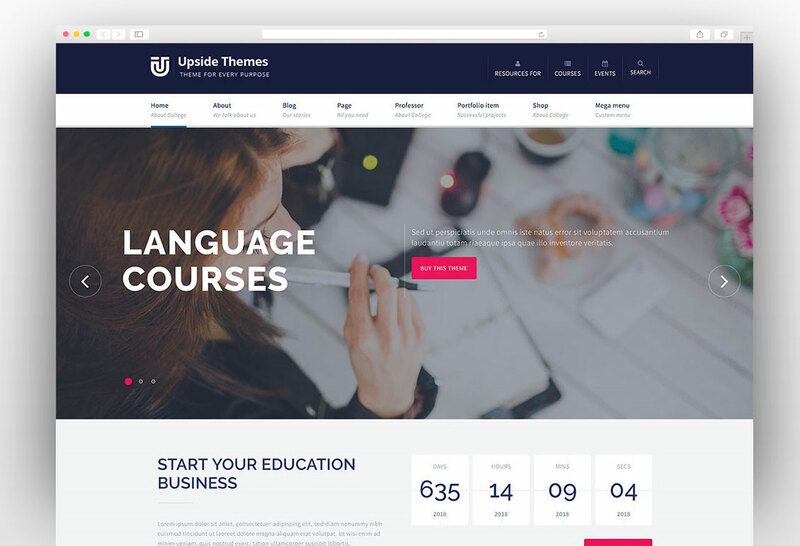 This theme is wonderful for selling online courses with multiple payment options available like PayPal, Authorize and Stripe etc. 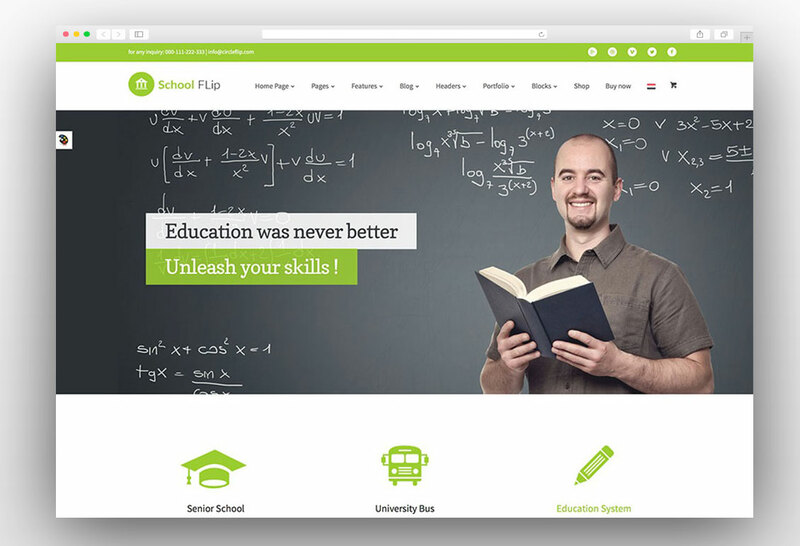 Education WP is one of the popular education WordPress themes and it comes with the powerful features added to meet the needs of educational institutes like schools, colleges, universities, academies, and LMS. Multiple demos have been added for different kind of educational institutes to cater all of your needs. 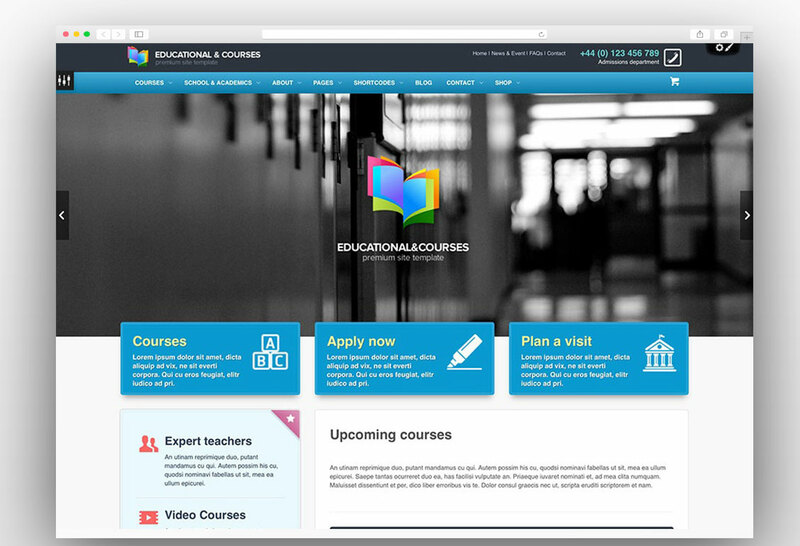 The theme is powered with the best learning management system plugin the LearnPress. In addition to that powerful add-ons are also included valued more than 500$. 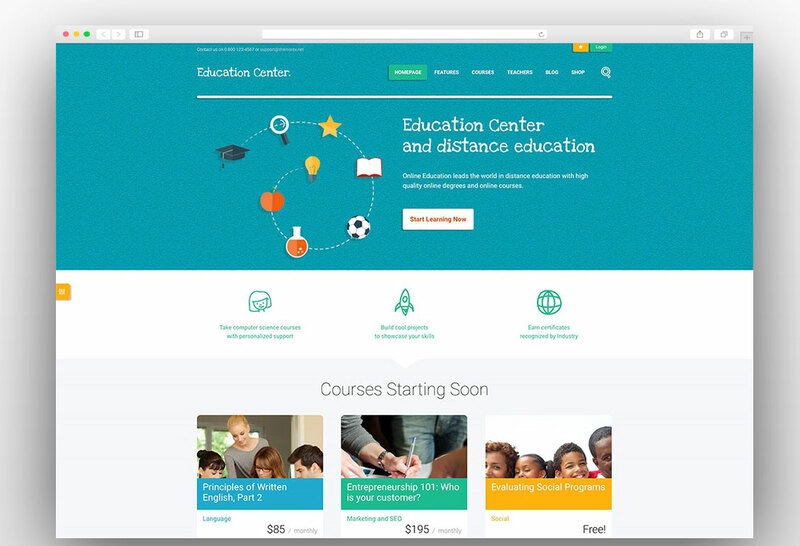 If you want to create an amazing educational website then Education Pro is the best education WordPress theme to create an amazing website for schools, universities and other education related organizations. The theme is aided with creative design and great premium features which do not cost you anything extra. 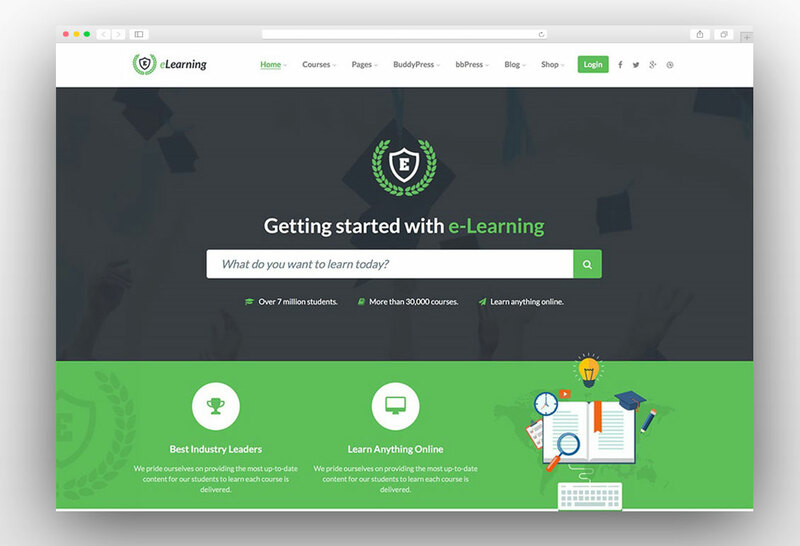 WPLMS learning management system for WordPress is not only a theme for education it is a complete elearning suit which brings everything in it create an awesome learning website. 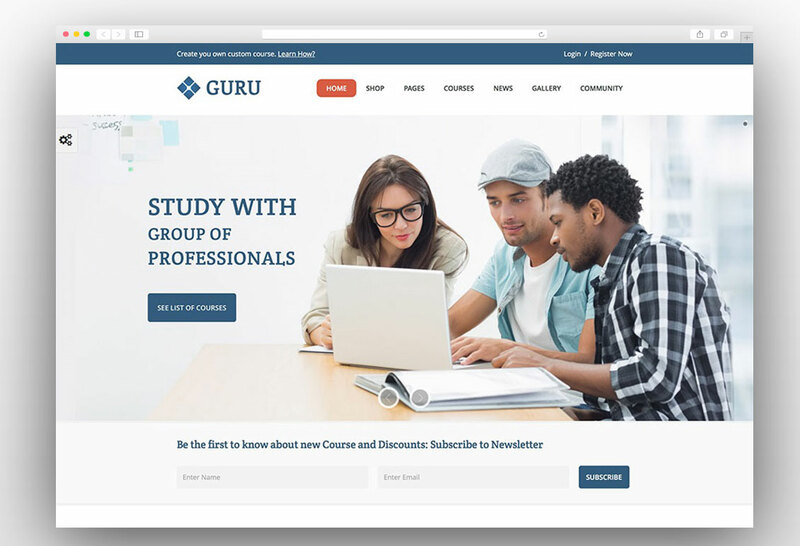 It is suitable for all sorts of educational institutes and it features functions like course management, student management, instructor management and creating and selling courses online. 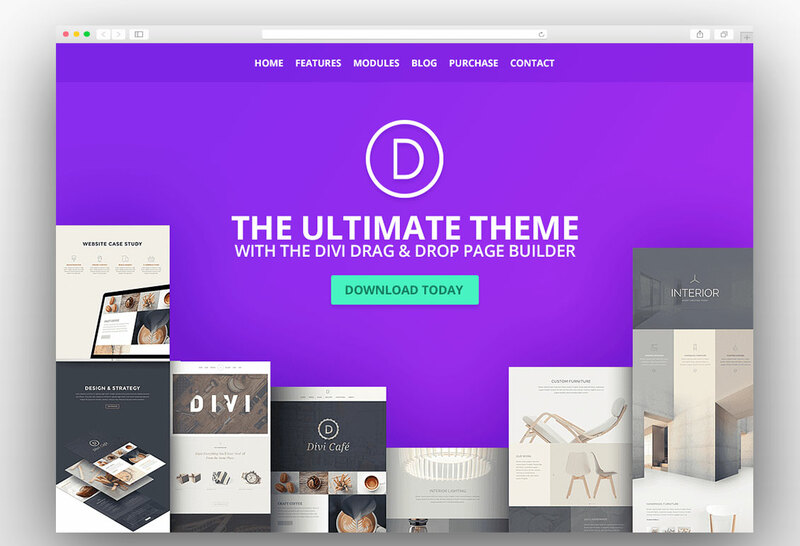 Divi is the ultimate WordPress theme with visual page builder and it is among the best selling ever WordPress themes. 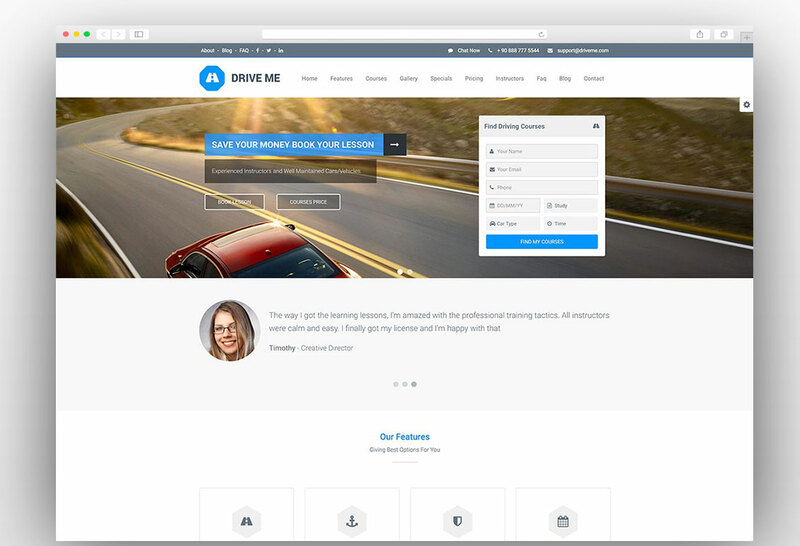 It is powered with incredible Divi builder which allows you to create a website from the front-end visually. 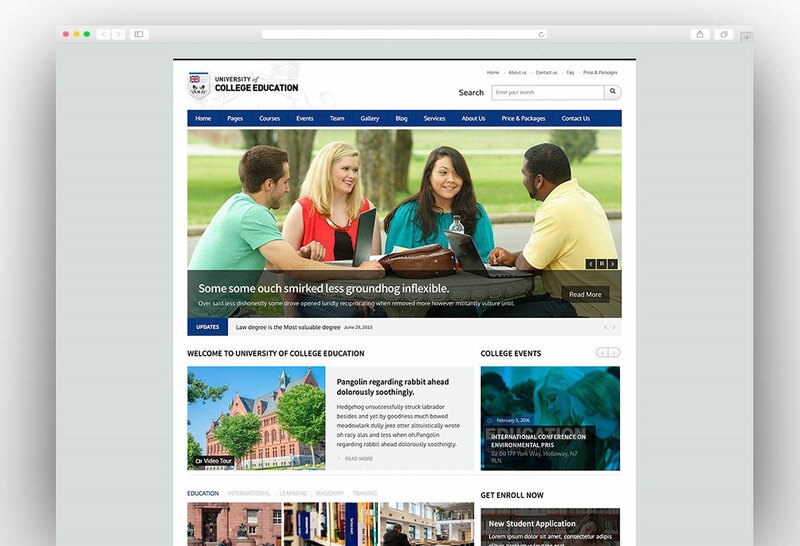 The visual page builder enables to create a website with real time designing. There are hundreds of elements in this drag and drop builder. You can stretch or reduce the size of any elements like you do in any of the design software. 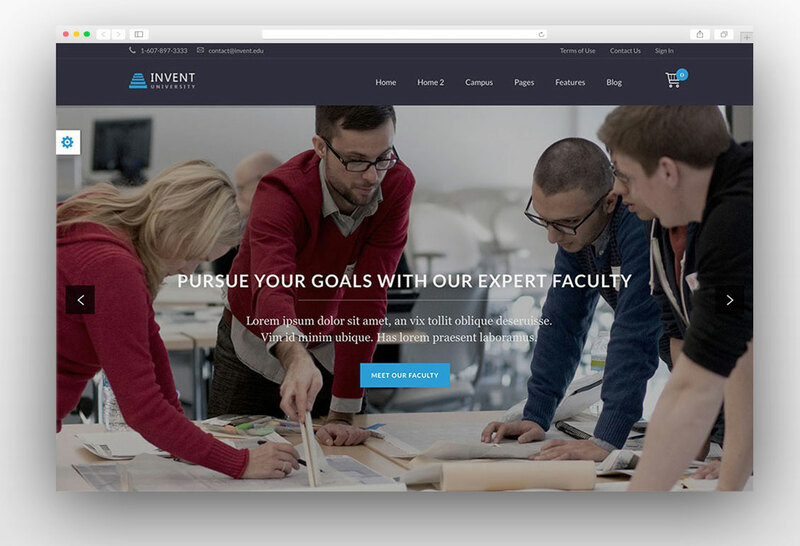 When it comes to the visual page builders, Divi is by far the best WordPress theme without any doubt.